Dr. Fraifeld is a distinguished, nationally recognized leader in the field of Pain Medicine with over 21 years experience in his field. While earning his undergraduate degree in biology he worked full time as a researcher at the Texas Medical Center in Houston going on to earn his MD at the University of Texas Medical School at Houston. He did a surgical internship at LSU Medical Center in Shreveport, LA. before going on to do his anesthesiology residency at Vanderbilt University hospital in Nashville, TN. where he focused his training in the field of Pain Medicine. 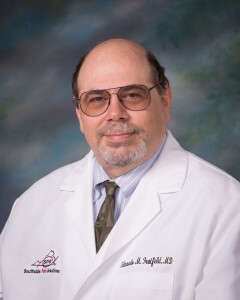 Dr. Fraifeld has gone on to gather many distinguished honors. He has over 1,500 hours of continuing medical education to his credit since finishing his training. He is board certified by the American Board of Anesthesiology, and is also a diplomate of the American Board of Pain Medicine. He is a former president of the American Academy of Pain Medicine the leading medical society in his specialty and held numerous other leadership positions and is a sought after lecturer and a published author in his specialty. Additionally Dr. Fraifeld serves in various governmental panels and national committees representing his medical specialty of Pain Medicine.